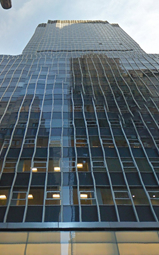 The building property at the address 80 Pine Street occupies a whole block and can be found between Pearl & Water Streets in Manhattan's Financial District. 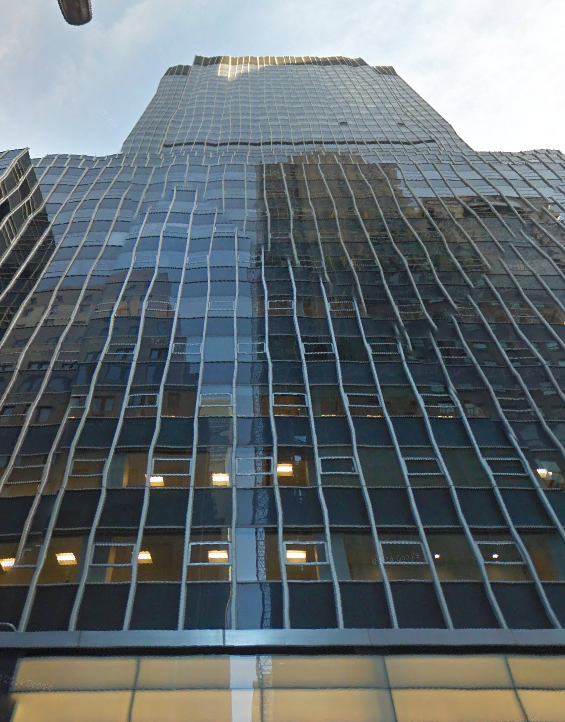 The commercial highrise has been updated to a modern contemporary standard and enjoys a new main entrance that offers a great presence at street level incorporating a luminous glass frieze which helps to draw the eye inward to the building's new recessed entrance - now the building stands as its been put "a beacon at the end of Cedar Street". Details to point out about the lobby include; the installation of new contrasting wood surfaces on the ceiling which have been complimented by glass panels. Furthermore the the concierge desk has been re-done with the addition of a video wall that serves to focus the new lobby space by emphasizing the entrances of three buildings which meet at this intersection. Due to the property's close proximity to other office buldings in the area who have a traditional tenant base tied to finance, law, or tech. This location is great for those with a need for strategic location near to partner clients and firms within the area. 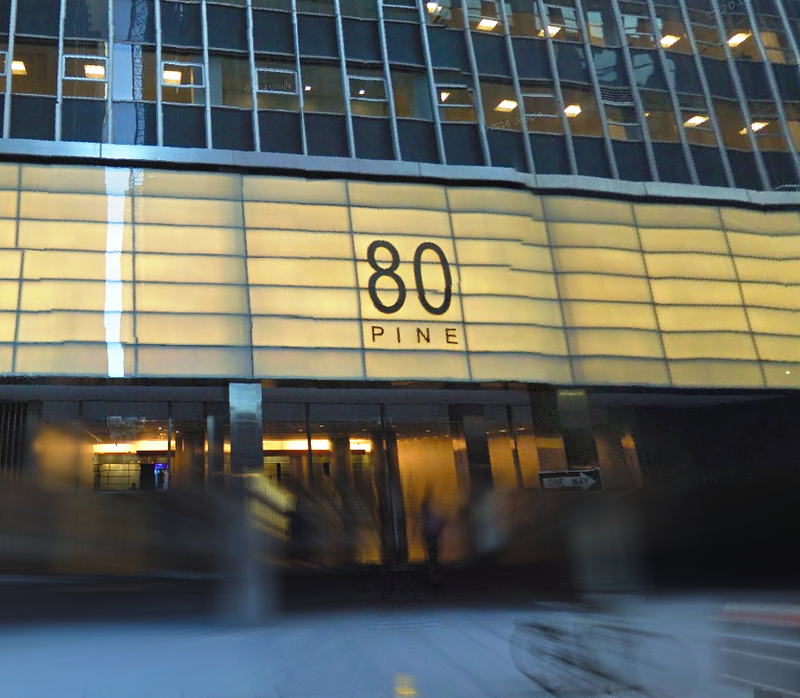 It should be noted that 80 Pine is an older building that has in recent time undergone a slew of captial improvements to the property structure as a whole and today stands as a Class B Commercial Building. For information on available office space inside of 80 Pine Street or nearby in the area, contact us and one of our brokers can provide you withthese all the intel needed including price, floor plans, photos, and insight into the area and the comparable options. Entire tower floors of 12,000 -13,632 SF. Total Building Size: 1,084,110 SF. The staff of 80 Pine Street is dedicated to making your work environment as safe and pleasant as possible. There is a security presence in the lobby 24/7. The security is comprised of Floor Directors, Security Guards and Night Watchmen. Building entrances at Pearl Street and Maiden Lane are open from 7am-7pm and the entrance at Pine Street is open from 7am-6pm Monday thru Friday. The Maiden Lane entrance is card key accessible at all other times. All after hour car service pickups should be directed to use the Maiden Lane entrance. Access for deliveries, vendors and contractors is restricted to service/loading dock entrance on Pine Street, and advanced notice needs to be provided to building management by the tenant. Built in 1960, the building occupies the entire block bounded by Pine Street, Pearl Street, Maiden Lane and Water Street. 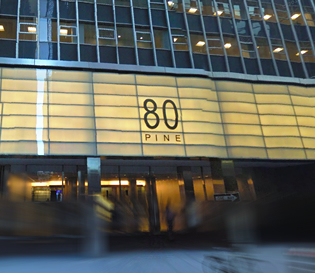 Currently, 80 Pine Street is 95% occupied by such tenants as AIG, it’s largest tenants with 600,000 s/f .